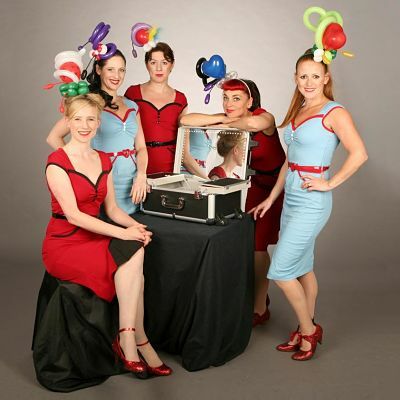 Charming and highly skilled, The Inflate-a-belles are a balloon twisting force to be reckoned with. From delicate jewellery and bespoke costuming to their very own signature designs, they are guaranteed to bedazzle you with their brilliant balloons. They are great for corporate events and private functions. Flamboyant and mischievous, they bring an exciting spectacle to your event. These balloon modellers make the guests the stars of the show and leave a long lasting impression wherever they go! 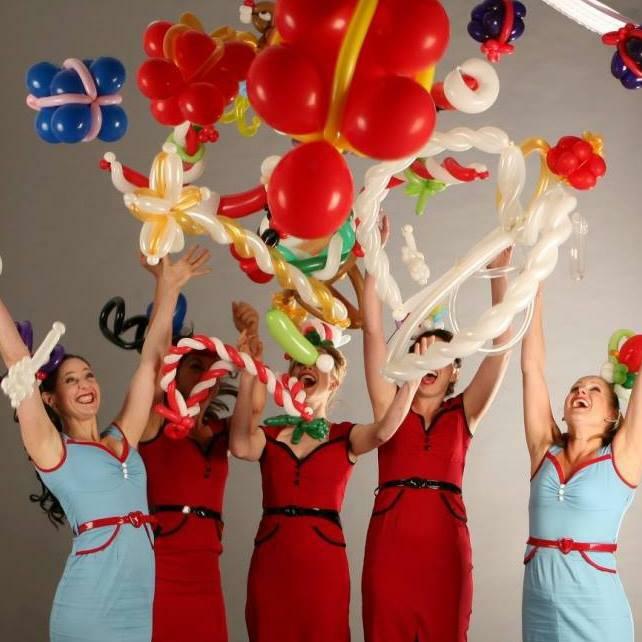 The Inflate-a-Belles are an exciting and unique group of balloon artists! With years of balloon modelling experience and talent between them, and a love of beautiful balloons, they always up the ante in the balloon twisting world. 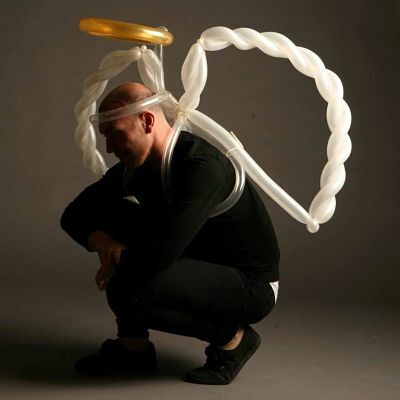 If you are looking for high quality balloon modelling with a stylish twist, look no further! 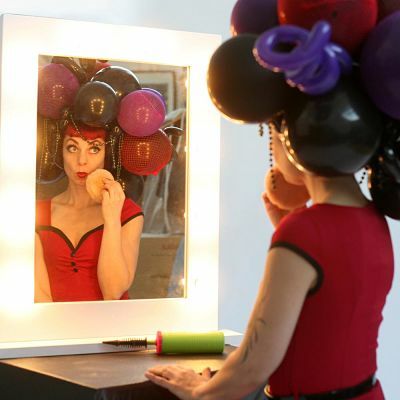 The Balloon Boutique is a unique pop up balloon station perfect for injecting glamorous fun into any event. 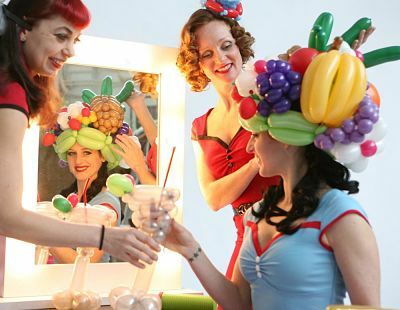 The Inflate-a-Belles adorn people in fabulous balloon couture creations, from extravagant Carmen Miranda style headdresses, top hats and bow ties, fantastic fascinators and much, much more. Your guests are transformed into stars for the night as they are wowed with the best balloons they have ever seen! 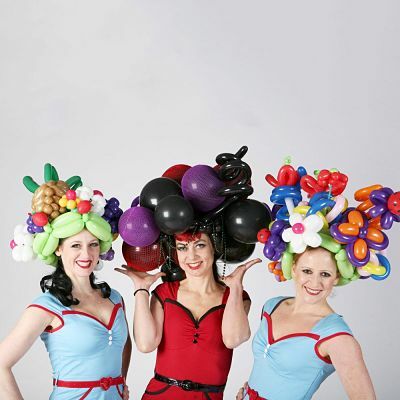 The Inflate-a-Belles have worked alongside some of the top fashionistas and photographers, creating irresistible, wearable balloons. These exquisite tailor-made creations range from the totally flamboyant and extravagant, to the most detailed and delicate designs. Inflate-a-Belles uniquely dramatic Va-Va-Voom to your fashion and film shoots, theatre sets, Glitterati parties, and special events. 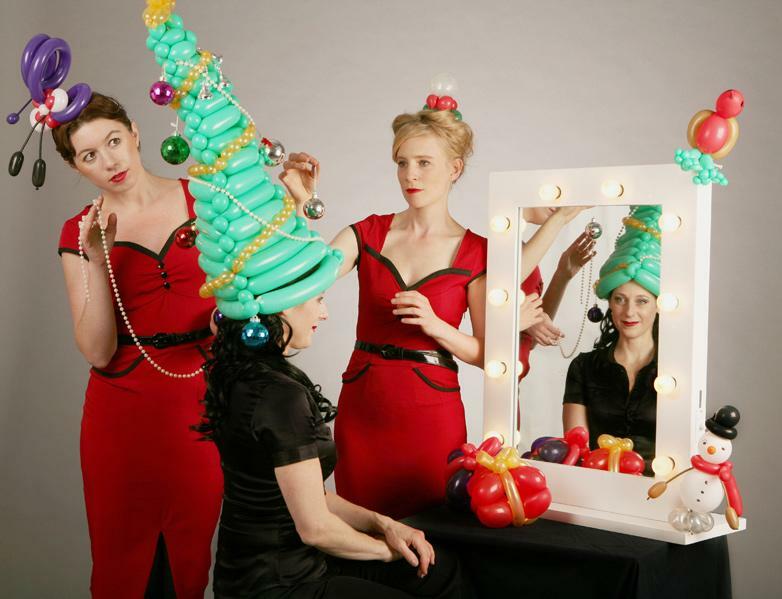 The Inflate-a-belles perform up to 3 hours with breaks. A minumum of 2 performers per booking. Just a quick one to say thanks so much for coming and entertaining at our party on Saturday. It was a great success and everyone had a fantastic time – thanks for their part in an event that has still got people talking at work today! Just wanted to say a massive thank you for your fabulousness at last week’s party. Professional, self-sufficient and loads of fun!….Highly recommended! ..FAB! Really entertained the crowds.